Choosing a hair type and method of installation is just the beginning after deciding to buy your hair extensions. You must figure out the best ways to maintain your investment and how to keep your locks beautiful and healthy for as long as possible. From barrel curls to loose waves, every woman loves experimenting with different hair styles. Unfortunately, constant heat can damage your human hair and your hair extensions even more. 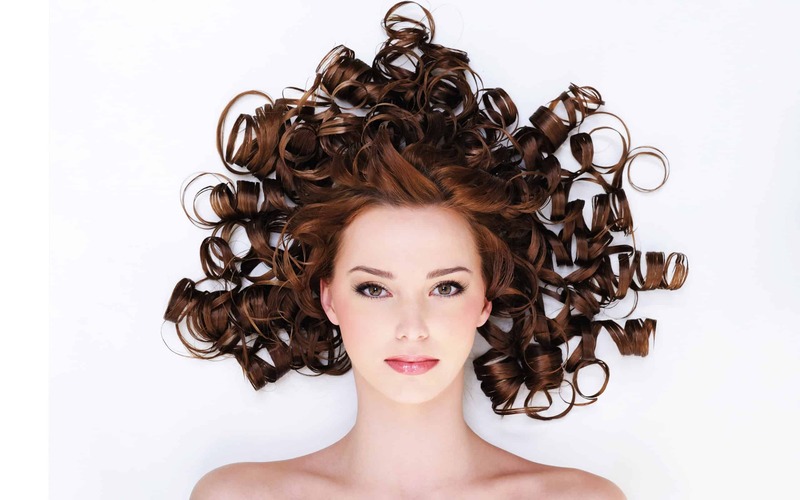 Below are some tips for the best ways to curl your hair extensions with less damage as possible. It is very important to prepare your hair appropriately before curling it. When choosing to curl your hair with a heated tool, it’s important to make sure your hair is clean and dry before starting the style. It is very significant to have dry hair before curling. If you apply a hot tool to damp or wet hair the tool can burn your hair which can lead to severe damage and breakage. Be sure to also use a heat protectant to minimise heat damage to your extensions. Depending on the tightness of your desired curl, it is also a good idea to use a strong holding spray or mousse prior to curling each section of hair. Depending on your desired style, there are a variety of tools you can use to curl your hair extensions. There are methods with hot tools as well as heatless methods that minimise damage to your extensions. 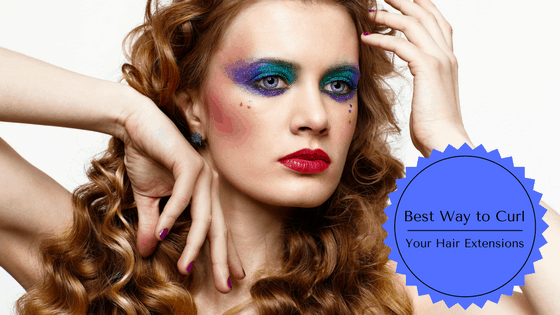 Here are some of the best hair straighteners specifically for hair extensions. If you want tight, long lasting curls, it is best to use a heated tool in conjunction with a holding spray. Curling irons, curling wands, and hair rollers all work perfectly to achieve this. Be sure to always use a heat protectant before curling your hair extensions to limit the damage caused by hot temperatures. However, the best way to protect your hair from heat damage is to opt for a heatless method. Flexirods: Flexirods are foam rods that you wrap around sections of damp hair to achieve curls. They are an inexpensive and a damage free way to achieve curls. Snail Rollers: Snail rollers are pieces of plastic that you loop damp hair extensions into using a hook that comes with the snail rollers. 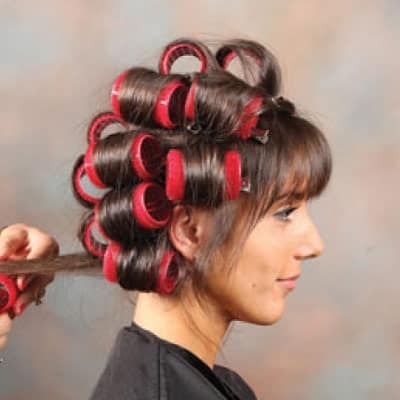 The roller tightens up creating a curling effect once the hair is removed. Braiding: A very simple (and free!) method of getting wavy curls is by dampening your hair, applying a setting spray or mousse, braiding it into multiple braids, and letting it dry overnight. This method works especially well if your hair extensions are naturally curly. If you are using Velcro or clip in hair extensions, you have the benefit of being able to curl the hair without it being on your head. This gives you a better visual of the hair and the ability to curl them to perfection before adding them to your own hair. Pin curling is a very popular method for removable hair extensions. With the hair removed from your head, spray with a heat protectant and curl a section of the hair with a curling iron or wand. Do not pull the curl out but instead clip it together with a hair clip so the curl stays together, repeat with the remaining extensions. For a stronger hold, spray with hair spray. The longer you leave the clips in, the longer the curl will last. Easy right! If your curling iron or wand has a temperature gauge, do not set it above 350 degrees Fahrenheit. The higher the temperature, the more likely you are to cause damage to your hair extensions. The type of curl you desire might depend on the occasion or how much time you have to get ready. Different methods of curling will give you several types of curls. Check out the different curl types below and advice on how best to achieve them. Barrel Curls: If you desire big glamorous curls the best method is to use either a large barrel curling iron, at least 2 inches wide, or hair rollers. Curling Iron: First, make sure your hair extensions are completely dry and apply a heat protectant and wait for it to dry. Next, open the mouth of the curling iron and starting from the bottom, wrap 3 inches of hair around the inner rod then once you are about 2 inches from your head, close the clasp and hold the hair together for 5-10 seconds. When you unclasp the curling iron, do not let the curl go but instead use a hair pin to pin the section to your head. Next, use a hairspray for long-lasting curls. You can do this with hair extensions that are both removable and non-removable. If you are using clip ins or Velcro, be sure to set the extensions on a dry even surface while the style sets. After 5-10 minutes unravel. Remember you can curl your extensions before even clipping them in which is much easier than try to reach around to back section of your hair. Hair Rollers: Apply a heat protectant to your dry hair. Next, section off your hair into 2-inch sections and roll onto hair roller. Pin the hair to the roller, apply hair spray, and let it sit on your head for 10 minutes. Unravel the curls carefully when finished. Loose Curls: For loose curls, the best tool is a curling wand. Apply a heat protectant to dry hair and section hair into 2-inch bunches. Wrap your hair extensions around the wand and hold for 5 seconds. Do this with the remainder of your hair. When you have curled all your extensions, run your fingers through your waves to loosen them. Do this until you have your desired wave pattern. Beachy Waves: The best way to produce beachy waves is to use Flexirods or braiding. When using Flexirods, make sure your hair extensions are damp, after washing your hair before bed is a perfect time. Separate your hair into 2-inch sections and wrap each section around each Flexirods, clasp the ends of the rods so the hair doesn’t come loose. Once you are finished, apply a setting spray and wrap your head with a satin scarf. Leave the rods in overnight. Remove the rods carefully in the morning and run your fingers through your hair until you have your desired wave pattern. The tighter you wrap your hair around each rod, the tighter your curls will be. Makes sense! Braided Beachy Waves: Dampen hair and separate into 5-10 sections, the more sections you have, the more waves you will have. Braid each section and secure the bottoms with a rubber band or hair tie. Spray with a setting spray and wrap hair in a satin scarf and let sit overnight. In the morning remove the braids for super beachy waves. Now that you know the best ways to curl your hair extensions, you can choose the best method for your needs and style! Make sure you check back to when you should have your hair dry or wet to achieve the best results without causing any damaged to your new and precious hair extensions.